Book Review – Short Takes! Between Us Only! | My Majid Books! 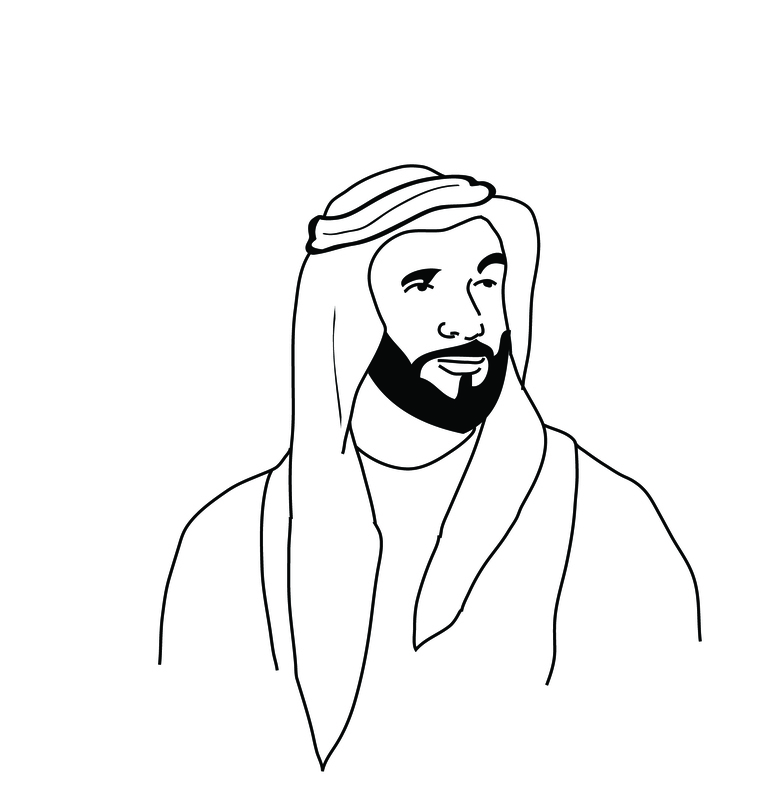 Home » Late HH Sheikh Zayd Al Nahyan PBUH RIP » Book Review – Short Takes! Between Us Only! Short Takes - Between Us Only! Short Takes – Book Reviews! Short Takes: Between Us Only! USA – An Amazon.com Company. Available locally (then!) at Family Bookshops, Borders and Turtles in Oman. Magrudy’s in UAE – and Borders soon. See http://www.alsuleimany.com for more books information and details. This is Short Takes – Between Us Only – Book Three – from his First Book of the same name – Between Us Only! 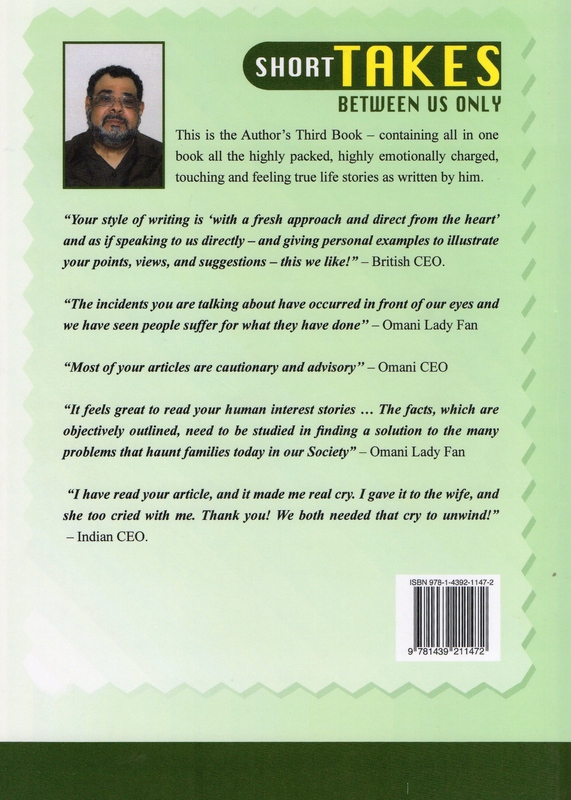 The Author is a recognized famed Omani Author who writes in English and he has published other books in the series – The Sequel – Between Us Only – Book Two – and Between Us Only (The Original – Book One). He is also the Author of Psychology of Arab Management Thinking Book – Context and Perspectives – Arabian Management Series. He is on final touches to produce his second book on Management titled – A Cry For Help! The book contains series of selected articles that had appeared during the last five years in his column in The Oman Daily Observer (English Daily). The subjects cover varies from week to week but range from Socio-political, Social, Economic, Family, Educational, Omanisation (Localisation), Training & Development, International arena and scenarios etc. The concentration here in this book has been the human interest stories touching lives of the peoples (and residents) of Oman and The Gulf Region as a whole. Some of them have been made out as stories, but the messages coming out are openly vividly and crystal clear to all, in many cases it comes out outright and facing the Reader without any doubt or innuendos. This is the only of his books with pictures, cartoons and caricatures – and would appeal especially to the younger generation – and those that like Short Stories with human touch feeling and caring touches. The Author admitted that he had a difficult time to choose which stories to reproduce in this book from his column. In the end he went on the responses received from his fans to which articles that had touched them the most – and most of these were reproduced in the book. A lot of questions were raised by Readers – especially by the youngsters – if the stories were real and had actually happened – or were just made up or were expanded from real life cases! His response has always been that some were real, but he had made them as short stories to protect the identities of the people involved in his stories – and using alphabets (not of real names) to identify the characters in his book. On the not too plus side, it would have been better if the Author had revealed his sources for the book in his writing, as it may raise clouds of suspicion in those similar or same situations of his book – and with he himself had said (outside the book) that some had asked him if this was a case of XYZ in reality – or in mistaken identities – or exaggerated and expanded situations. In one of the articles he writes – in Tragic Love Story – From girl to boy – … I am sorry to have to tell you this – but be careful too! I was seeing Z the same time (that is before he married me) that I was seeing you, and after realizing that you were not that serious with me! I had to have a fall back position, so I was seeing you both at the same time…. The man collapses! The wife now reads the letter – and all hell is let loose! The woman is an ex girl friend whose husband had just died of Aids – and the man had indeed gone himself for a check-up – and was found as Positive! A beautiful way to talk about cheating in marriage! In Even in Death he writes – What he admitted to me next shook me smithereens and to my very foundation by saying that the boss was dead and they were relieved and happy that he was dead – and they hoped that he will burn in hell too. This was a funeral congregation of the just died boss! The book is highly recommended for those in interests to have short stories of lives in Oman and The GCC countries – and what really happens in some homes hidden from the rest of the world. As the expression goes hidden skeletons in the coffers (cupboards) of many homes! There are too many artificialities and pretences! My Short Takes! http://www.createspace.com/5267743 – An Amazon USA Company!